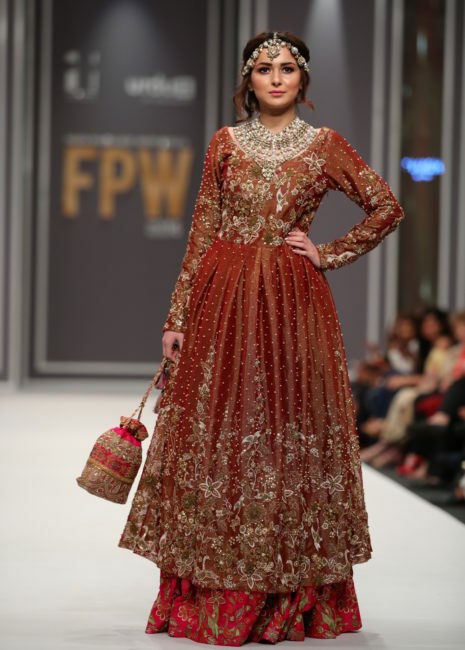 The Fashion Pakistan Week 2016 Winter Festive edition came to an end on a high note with numerous designers showcasing all types of cuts and styles that will ultimately translate into trends for the coming season. 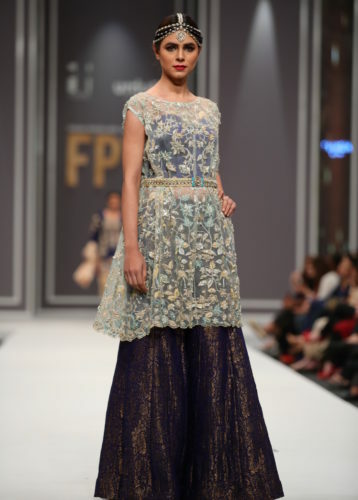 Among the showcasing designers, was also the popular brand based out of Karachi, FNK Asia. 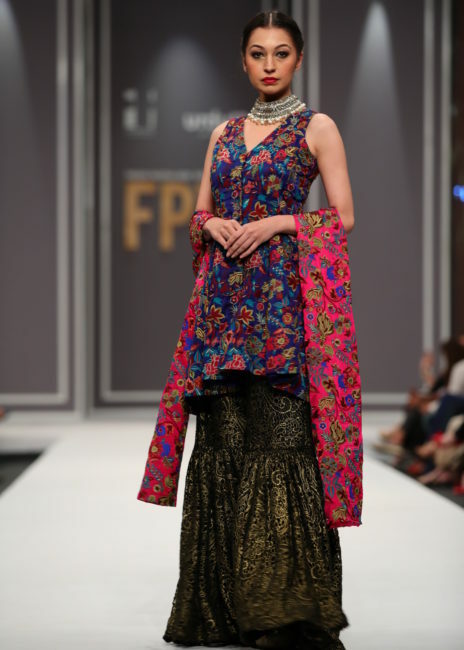 The brand showcased their latest collection called Midnight Garden. The collection contained numerous designs that aimed to introduce a new romantic glamour of time, featuring embroidered and sequin work finesse in the sculpted silhouettes. 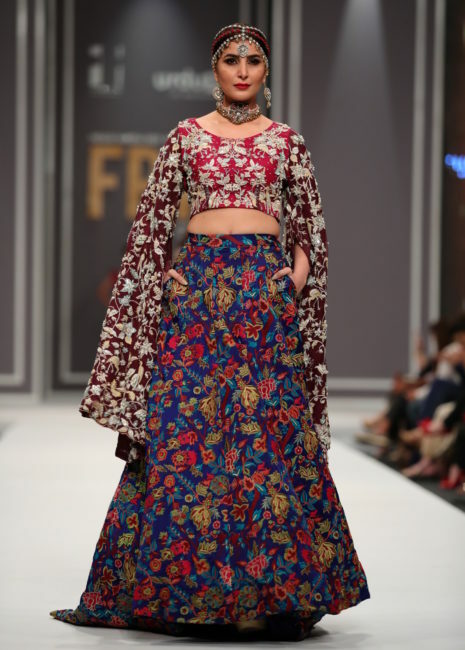 The designs combined the scattered and placed florals in rich gem colors such as, deep purples, beetroot extracts, cranberry concentrates and peachy pastels for the upcoming Winter Festive season. The collection showed cuts & silhouettes that remained voluminous and curvaceous. We saw crop tops, peplums, dhoti pants, loose trousers, off-shoulders among others. Already the rage, sharara pants are definitely going to be the highlight of this wedding season. 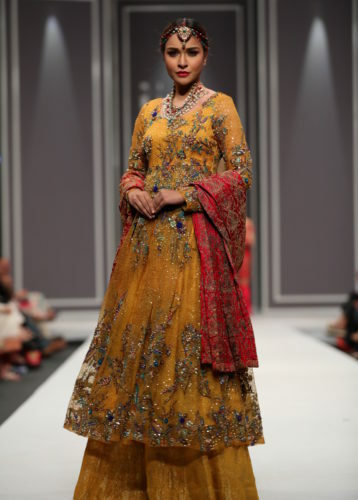 They are the perfect silhouette for anyone looking for a heavy formal look without overdoing it with an actual sharara/gharara. If FNK Asia has predicted something, it is that the coming season will be full of dark tones with colors such as reds, blues and maroons. Having looked at numerous regurgitated pastel formals, we can’t deny that this is a welcome change! 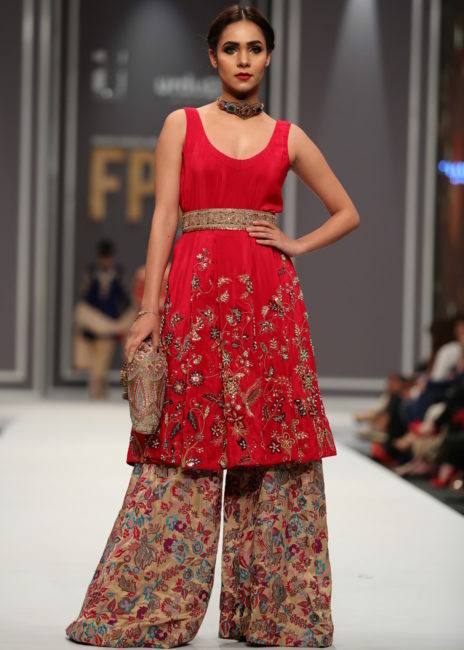 Another trend that we foresee making a huge statement from the FNK Asia collection is adding volume. Feel free to add in a little bit of flare in your outfit such as peplums, oversized sleeves, loose pants among others. This is an excellent trend that will help you add the right kind of volume to accentuate the right parts to suit each body type. 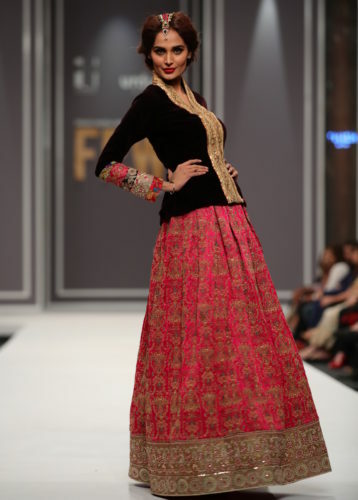 FNK Asia is spearheaded by Huma Adnan and is the womenswear line of the accomplished menswear designer brand, Amir Adnan. The brand was founded in the year 2005 with the aim to provide women of the region a brand that would be able to accurately represent trendy wear that would be able to highlight traditional crafts and artisanal techniques with contemporary silhouettes. You can shop online or check out their Facebook page Facebook for more details regarding their work.